Prize: Enter for a chance to win a Starbucks gift card . Sign-in the competition complete a short survey have a chance to win the gift card balance. 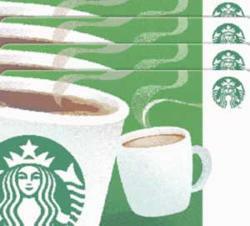 Lucky winners will enjoy Starbucks coffee and tasty treats. What you must do to enter: Sign-in the competition complete a short survey have a chance to win the gift card balance.